As the temperatures begin to drop, we become much more dependent on our heating systems. The last thing you’ll want to deal with in the middle of winter is having a system that doesn’t work properly or even breaks down when you need it most. One of the most important steps you can take before winter hits is installing a new heating system that works efficiently and won’t cost a crazy amount of money to operate. It should get the job done, without leaving your pockets empty. This option is best if your home is currently under construction or you are undergoing a remodel project because it must be installed within your flooring. Under-floor heating can be electric or boiler powered and is more efficient than other boiler-powered radiators. This is because the heat is retained under the floor, which reduces the amount of hot air that can escape. The only drawback for this is the extensive installation process. This system needs to be installed within your flooring, so it’s best to install this system if you are already planning a remodel project. Heat pumps offer a more energy efficient way to heat your home when compared to furnaces. They work by using electricity to move heat from a cool space to a warm space. During the winter, when the temperatures drop outside, they move heat from the cool outdoors into your warm home. This option is good for people who also want a dual-purpose conditioning system because it can be used all year round. They can be used to cool your house by working in the opposite direction and pulling cool air from the outdoors and into your home during the summer. Furnaces are one of the most popular options when it comes to heating systems in the United States. Unlike heat pumps which absorb heat, furnaces heat the air and distribute the warm air throughout your home using ducts. Efficiency ratings depend a great deal on how old your furnace is. If you have an older furnace that has not been updated or well maintained, there is a good chance that you’re losing a lot of money while heating your home. Older furnaces have a lot more areas where heat can escape before it ever enters your home. One of the good things about using a furnace is that it can last you up to 30 years, depending on maintenance and usage, making them an excellent long-term choice for heating your home. And last but not least are boilers. Boilers work like furnaces, but instead of air, they heat water and distribute this hot steam via pipes throughout the house. The fuel for this system is often natural gas or electricity. This is a more efficient option for those who only use some of the rooms during winter. 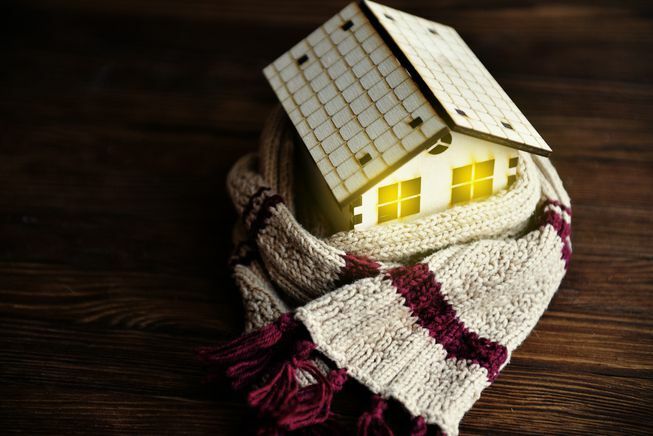 There are a lot of options that can be used to heat your home, but there are many factors that can affect your decision including your location, the type of house you own, and the climate in the area. If you want expert advice on how to best heat your home, then give us a call at AllPro Heating &Cooling. Our team of professionals will give you advice on which choice is best for you, and we’ll help you with your installation once your choice has been made!